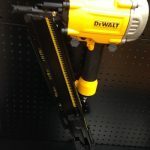 DEWALT launched an entire new line of pneumatic framing nailers. They include 30 degree paper tape, 28 degree wire weld and 21 degree plastic collated nail configurations. 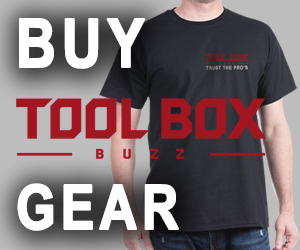 The new line focuses on less recoil to improve efficiency, and overall weight and balance of the tool. 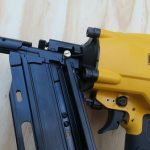 I got the chance to use the plastic collated framing nailer to frame out a few projects and I think that DEWALT “nailed” it with all of the improvements. I have to start off by saying that I’ve never used a framing nailer that was so much fun to use. 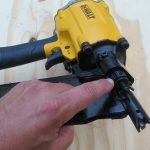 DEWALT exceeded my expectations with this pneumatic framing gun. We had two clients that each needed a pressure treated deck framed 12” O.C. 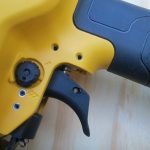 We used the DEWALT DCN692M1 Cordless 20V MAX* XR Lithium Ion Brushless Dual Speed Framing Nailer and the DWF83PL Pneumatic Framing Nailer on both sites. The compressor was set to 120psi with a 50’ ¼’’ flex hose and the adjustable depth gauge at its deepest setting. Nails were sinking into the pressure treated wood by no more that 1/8’’. In the LVL (test beam) they were flush to 1/16’’ sunk. We found the pneumatic nail gun to be very fast. 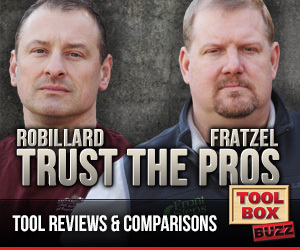 There were no complaints in performance or with the tool’s adjustable settings. The new compact size was great when we toe nailed the 2’’x 12’’s. We used galvanized ring shank nails and had no problems working in the tight joist bay spacing. Plus having the exhaust aimed away from face/wrist was an added bonus with this new design. By the end of the day my wrist felt good with no fatigue. The weight and balance on the DWF83PL is spot on. The gun was smooth and flowed seamlessly. We were able to rapid fire in bump mode with no hesitation or awkwardness from this nailer. I prefer to shoot framing nail guns in bump fire mode, but having the selectable trigger is a nice touch to cater to everyone’s nailing preference. I remember back in the day when we would have to completely change the triggers from grey (sequential fire) to the black trigger (contact tip fire)! The rafter hook is solid and is a sturdy adjustable metal hook. It has a nice wide mouth measuring in at 2 ½”. The hook has a series of ¼” holes throughout. I am thinking you could use these to tie off a lanyard, nice touch in my book. This factory rafter hook is perfect. We used it the day we were framing just after a rain storm. The entire work area was mud, so having a rafter hook on my framing nailer reduced the potential of it falling into the mud. We can recall back in the day were we would have framing nailers without rafter hooks just resting on the deck joists. Then some how you go to reach for it and its hanging in between the bay joists or worse it’s in the mud (so not cool). 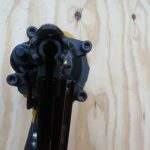 The DEWALT engineers must have been listening to the contractors when they designed the single action lever and top load. DWF83PL takes two full strips of framing nails for a total magazine capacity of 50 round head nails. 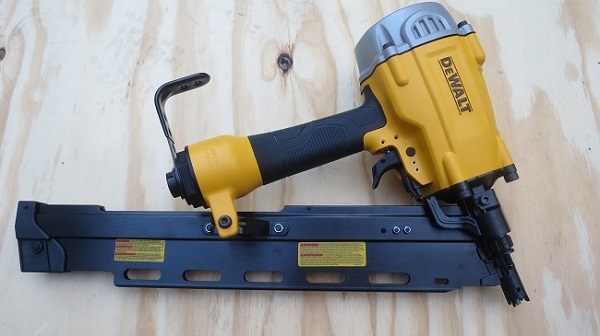 Loading this pneumatic nailer is quick and I just love the single action lever. We shot over a case of nails without a single nail jam. It’s all about simplicity! The DEWALT’S DWF83PL has a 7 year limited warranty which includes 1 year of free service and a 90 day money back guarantee. I would like to see the framing nailer come with a male quick coupler, specifically the swivel style. 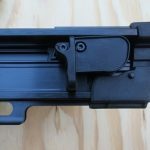 Also, I would like the DWF83PL to have a dry fire lock out. I don’t like unnecessary indentations in the framing lumber because the nail gun is empty. 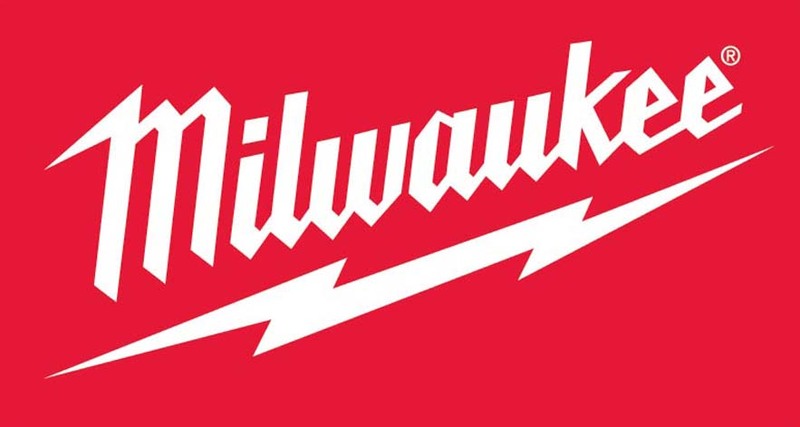 In closing, framing nailers are a straight stick forward. 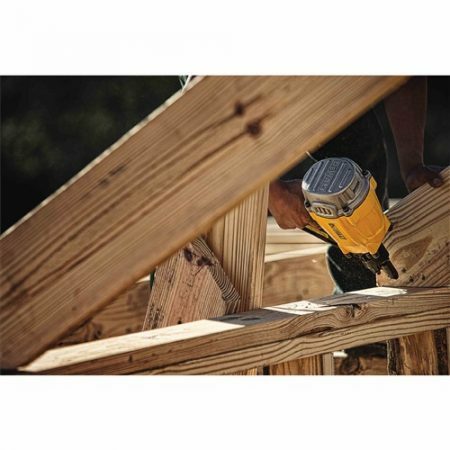 The improvements and features that DEWALT did with the DWF83PL, we feel the framing nailer preformed well and would be an asset on any job site from residential to commercial. 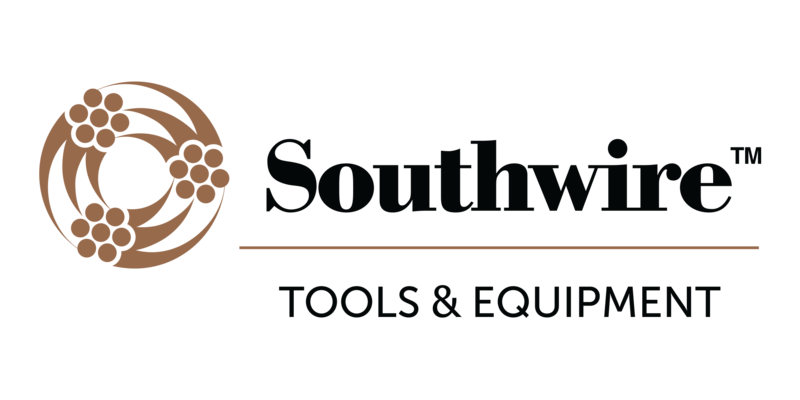 The features that stood out to us were the weight, balance, speed, compact size, metal rafter hook and depth or drive adjustment. 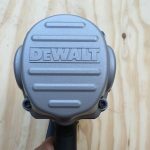 The warranty behind this pneumatic nailer just sweetens the pot even more. 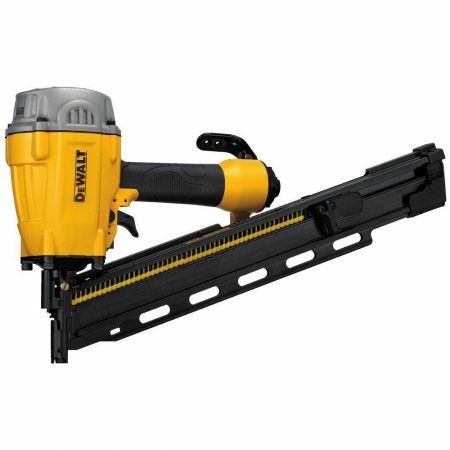 We don’t frame that often, but when we have to we will be looking forward to getting our hands on the DEWALT DWF83PL pneumatic framing nailer.